What is the greatest desire you have for your children? If you are like most parents, you want to raise children who are happy, resilient and compassionate. But the reality is, strong academics, excelling at extra-curricular activities don’t adequately prepare our children for the real world. They need to know how to deal with emotions, other people and love themselves too. The best gift we can give our children is teaching them the skills to calmly and confidently navigate life’s challenges. Raising emotionally balanced, mindful children requires us to work on ourselves first. We must be practice mindfulness first and teach them from our example and experience. Mindfulness is a powerful tool that helps children better handles stress, difficult emotions and builds confidence. Where can you learn kid-friendly mindfulness tools you can practice with your kids? Well right here of course!! As the Founder of the Yoga Birdies, Yoga for Youth program, The Mindful Mama Experience online course, and The Mindful Beginnings Program. When it comes to teaching mindfulness and meditation to you and your kids, I know what works. For the past 7 years, I’ve been teaching children 4+ the tools of mindful breathing, yoga and meditation to help better prepare them for life and I’d LOVE to teach you too. 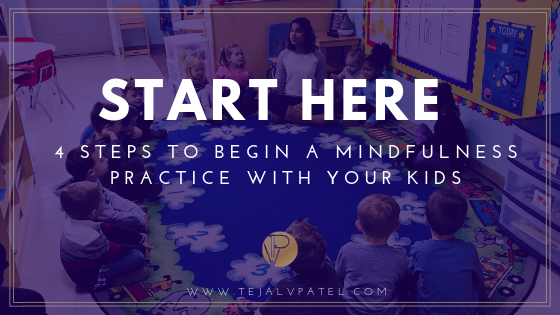 Here are some resources to help you teach meditation and mindfulness to your children and begin practicing as a family. Our children can learn the tools to feel calm in any given moment. In this video, I share 4 techniques I use, in every kids yoga class, to teach children how to use their breath to feel more relaxed. HOW TO TEACH MEDITATION TO KIDS? If you think it’s impossible to get children, to sit and meditate think again. 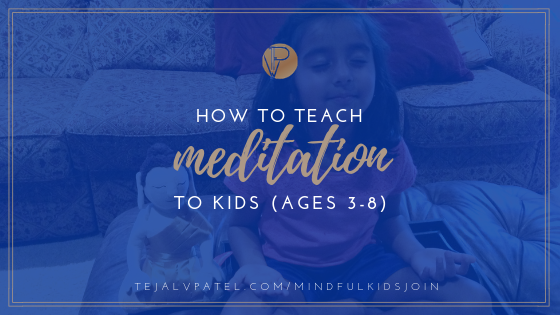 In this post, I share 4 tips to teach children (ages 3 and up) how to meditate. Any parent can teach these simple tools. CAN CHILDREN REALLY BENEFIT FROM YOGA? If you believe children are being faced with stress, distraction and anxiety at a younger age then you need to teach them the skills to move through challenges with ease. In this post, I share the benefits of kids yoga and the necessary skills to cultivate at home. Infusing peaceful pauses in classrooms is a key part of helping children learn how to better manage stress throughout the day. 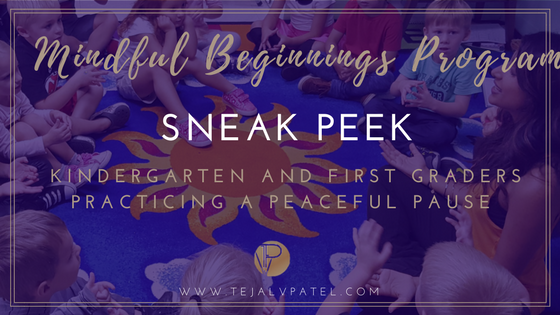 Take a sneak peek of one of my Mindful Beginnings Classes with my Kindergarten and 1st graders as they practice taking a mindful moment with me. As a kids yoga and mindfulness teacher, I’ve been asked so many times by busy mamas. I wanna teach my kids yoga and mindful breathing but please tell me WHAT I should play with them?! Watch this video to find out what to play. You want to calmly help your child ride through big emotions, teach them meditation and mindful breathing at a young age but don’t know how and where to start. I got you covered! 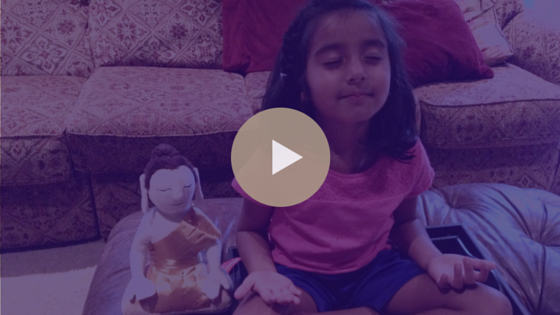 Watch this video and learn the first 4 steps of teaching mindfulness to kids. YOUR NEXT STEP… AND YEP, IT’S FREE!! START CREATING YOUR MOD-ZEN MAMA EXPERIENCE TODAY!! Get my amazing starter kit + weekly updates + inspiration (that I don’t share anywhere else) by signing up below.